This fast-paced novel is set against the little-known historical backdrop of a true-life battle that included vicious beatings, full on riots and worse. Lowe posits a provocative premise: that the US government sponsored a ruthless covert operation to destabilize a strategic community in the heartland of its closest ally: Canada. This story takes place in Sudbury, but it could also be in Trail, B.C., Thompson, Manitoba, Port Colborne, Ontario, or any number of mining towns in the United States. Read Volume 2, The Insatiable Maw now available. Mick Lowe, a prolific journalist, writer and newspaper columnist, is the author of the Canadian true crime classic Conspiracy of Brothers: A True Story of Bikers, Murder and the Law. 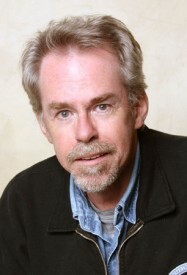 Born and raised in Nebraska, Lowe immigrated to Canada in 1970. 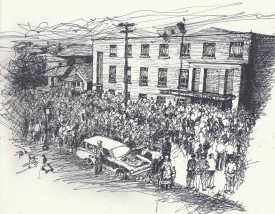 He moved to Sudbury, Ontario in 1974 where he became an avid student of that city’s turbulent labour history. 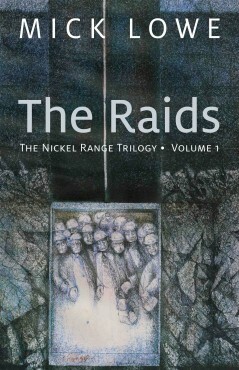 Listen to Mick Lowe discussing The Raids on The Raids. Seven original illustrations by Oryst Sawchuk, including ‘Hardrock,’ which graces the cover, and ‘Siege of the Mine Mill Local 598 Hall’ on the back cover.